There are three township-owned historic properties in Warren, New Jersey. I’ve lived in this town my entire life, and somehow I have never set foot in any of them — until today. This is a bit embarrassing since I’m a member of the Township Historic Sites Committee, but we have low demand for tours, and don’t always end up hosting our monthly open houses. This weekend, however, brought an opportunity: a Somerset County-run event that brings these historic homes, churches, and commercial buildings across the county to the public all together for one weekend a year. Tours run both days of the weekend, from 10-5 on Saturday and 12-4 on Sunday, at about two dozen sites across Somerset County. The County has created three routes, connecting the Watchung Mountains, the Delaware and Raritan Canal, and the Old York Road into curated driving tours. I took the opportunity today to journey though the past, jumping in with both feet, giving tours at both the Kirch-Ford-Terrill House and the Mount Bethel Baptist Meeting House. Both are among the oldest buildings in Warren, each dating from the 18th century. The Kirch-Ford-Terrill House, sitting on the corner of Reinman Road and Mount Bethel Road, today looks across a series of office complexes. In the early 18th century, however, when the Terrill family built a one-room dwelling with a large hearth and windows looking southward, the view would be fields and forests all the way to the horizon. The house is a fantastic contrast to the McMansions that have sprung up across Warren in the past few decades. The house is comprised of many additions over three centuries, each bringing its own style and purpose to the building. Heavy wooden floors; magnificent brick hearths; and a secret room designed for Underground Railroad refugees, Prohibition moonshine, or Revolutionary War munitions (take your pick, nobody really knows) create a cozy abode that typifies many of the homes that dotted Warren in the 18th and 19th centuries. A half-mile down the road, the Mount Bethel Baptist Meeting House sits in the historic center of the village of Mount Bethel, one of six or nine villages (depending on who you talk to) that came together to form Warren Township in 1806. Across from the abandoned and endangered landmark King George Inn, the Meeting House looks upon a vista of its historic cemetery, the modern Morris-Union Jointure Commission school for autistic students, and the rolling hills of the Appalachians. 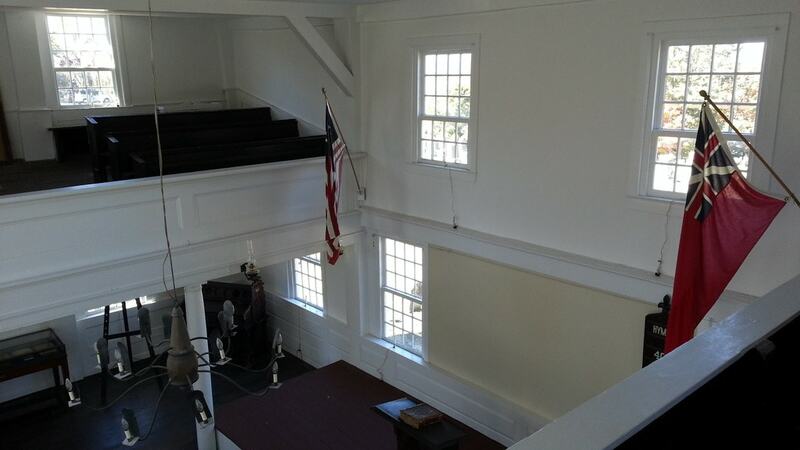 Built in 1761 further to the eastern border of town with Watchung, it was moved in 1785 to its current site. The building is plain, in the tradition of religious buildings of the time, but is filled with natural light from large windows all around. 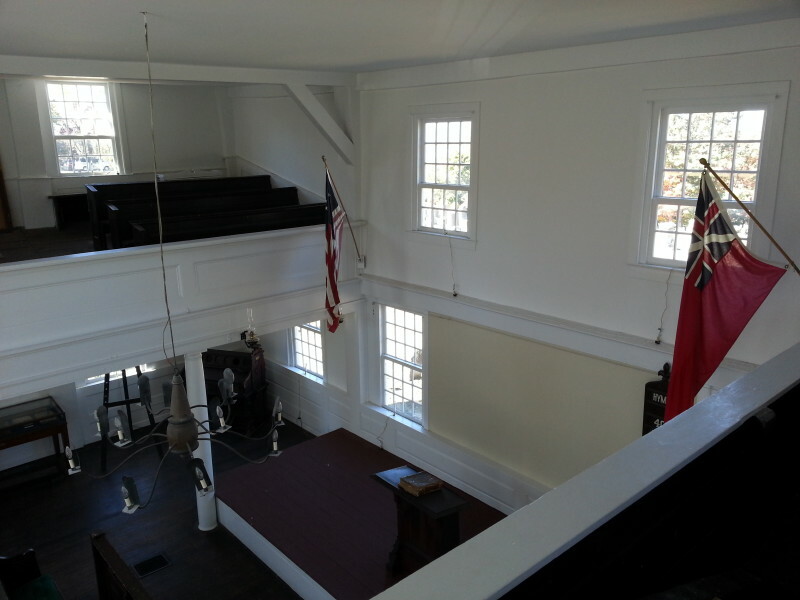 There is class division, as there would have been at the time; the lower level’s pews would be rented (up to $28 per year) to the wealthier residents of Mount Bethel, while the poor, Native Americans, and slaves would be on the upper balconies with their steeply sloped floors. The Mount Bethel Baptist Church moved to a modern building in the 1970s, donating the original building to the Township. Today, it stands as an anchor of the past in a rapidly-changing town. As a history lover, today, I was invigorated by giving tours of these newly-discovered places in my hometown. (Yes, I catch on fast to give tours right off the bat!) But even better, I saw a new generation inspired when I gave a hectic tour to eighteen Cub Scouts from the local troop at the Kirch House. As seems the case with so much regarding history and kids today, many weren’t interested much, and were horsing around the centuries-old floors. But two or three were asking questions, noticing details, taking interest in my rope bed tying demonstration and my schpiel on chamber pots. These kids…they were me fifteen, twenty years ago, when I dogeared and marked up fellow Committee member Alan A. Siegel’s book, Images of America: Warren Township. It’s getting more and more difficult to involve people, young people especially, in local history projects, but maybe, just maybe, there’s a chance that another generation of Warrenites will take on the torch of telling our town’s story.